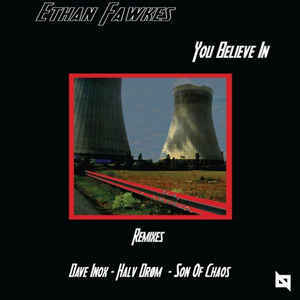 Background/Info: And here’s another new release by Belgian producer Ethan Fawkes. Nu Body Records is a label set up by the artist himself together with French producer Fabrice Torricella. Content: The title cut is a hard piece of techno-body music. It sounds dark, minimal-like and clearly as a wink to Nitzer Ebb. The metallic bass line and Douglas McCarthy-shouts will rapidly evoke Nitzer Ebb with this personal Ethan Fawkes touch on top. Remixes have been made by Dave Inox, Son Of Chaos and the less familiar Halv Dröm. + + + : “You Believe In” sounds a bit as an ode to Nitzer Ebb. That’s always tricky business, but the song and most of the remixes are cool and ultra danceable. This is music to party to! The bass line is really great, but I also have to say a word about Ethan Fawkes’ great shouts. There also are phenomenal remixes by Dave Inox and Son Of Chaos. Dave Inox added some cool acid sequences while Son Of Chaos accentuated the EBM touch. Conclusion: This is another great and powerful techno-body cut by the Belgian Terence Fixmer. 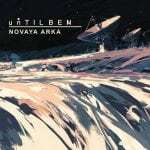 Nu Body Records is an appropriate label for this kind of music. Best songs: “You Believe In”, “You Believe In – Son Of Chaos Remix”, “You Believe In – Dave Inox Remix”.